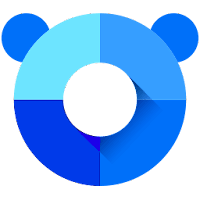 Panda Dome Advanced 18.07.00 (formerly Panda Internet Security) provides an advanced protection against internet threats for your PC, Mac and Android devices, plus your iPad, iPod and iPhone. Panda Internet Security lets you use the Internet for everything, like shopping and banking online, with complete privacy and security. Panda Internet Security also protects you against online fraud, identity theft, phishing and other cyber-attacks. Panda Security's Cloud Technology provides a new protection model based on a user community where everyone contributes. Your computer will always be up-to-date and protected. Additionally, your device won't restrict the detection power as Panda's huge virus detection database is located on the Internet (the cloud). Panda Free Antivirus (Panda Dome) - free Antivirus solution. Panda Dome Essential - Professional Antivirus solution. Panda Dome Advanced/Panda Internet Security (Current) - Internet security software. Panda Dome Premium - All Panda Dome Complete features plus 24 hour premium technical support and more. Disclaimer: Direct downloads for the lastest version of Panda Dome Advanced 18.07.00 (formerly Panda Internet Security) are provided by the official software's author, we can't guarantee safety, availability or download speed. Moreover, we don't and we won't provide any pirated/illegal versions or tools. We recommend you to avoid it as these methods can harm your device. If you like the software, buy it to support the developers. (We provide software discounts for many worldwide brands).